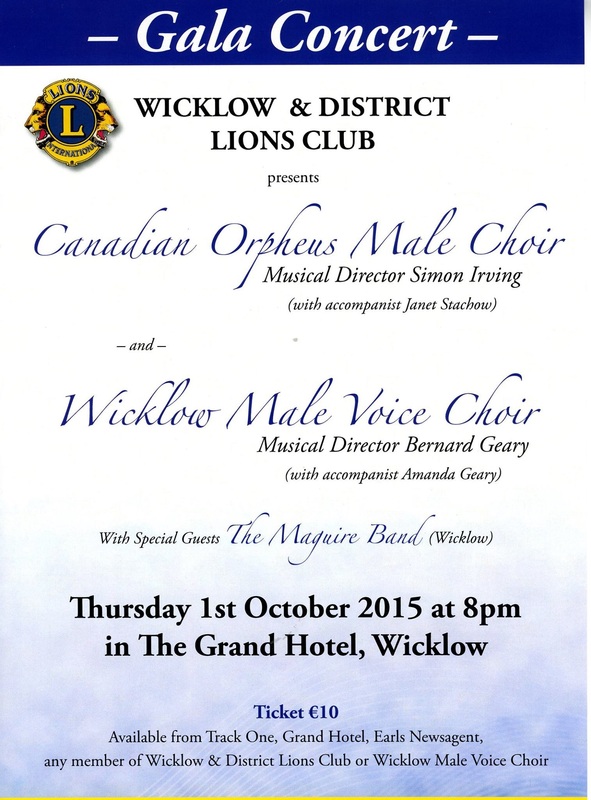 Delighted to be performing at the Wicklow & District Lions Club Gala Concert in the Grand Hotel, Wicklow on Thursday 1 October. We’ll be joining two fantastic male voice choirs for a wonderful evening’s entertainment. Tickets are just €10 and these concerts always sell out, so don’t delay!